A fantasy romance surrounding a white collar worker and her 'guardian angel'. Towards the end of the Ming Dynasty, a lunar eclipse causes ordinary villagers to develop mysterious powers and they become a clan of guardians who live thorugh the millennia. 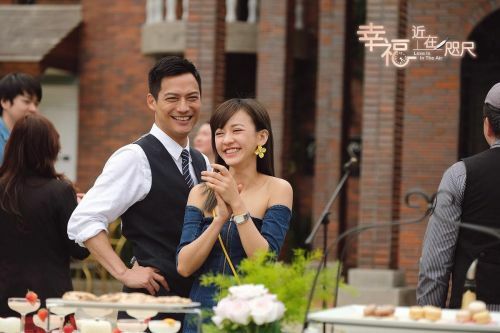 Jiang Yi Yi (Ivy Chen) and her first love Chu Tian Qi (Archie Kao) have broken up for two years. She appears to have gotten her life together on the outside but actually still bears scars from her failed relationship. When she encounters Fang Mu Ye (Wang Zi Qi) who is in training to be a guardian, the two become unlikely partners. He uses his special skills to help Jiang Yi Yi in her career and even intends to reunite her with her ex. Amidst the hustle and bustle of life, the two don't realize that love is in the air. It is Ivy Chen's directorial debut. Let us know why you like Love Is In The Air in the comments section. Please also share these fun facts using the social media buttons below.